The Oculus Rift developer kit is set to reach devs next month. It is widely expected to have significant impact in the future of gaming. While we’re quite excited for the Oculus Rift, there’s an issue that plagues virtual reality gaming that even the Rift doesn’t counter: positional tracking. The Oculus Rift includes an impressive custom sensor unit that makes for extremely tight head-tracking. Unfortunately, like all other sensors in its class, it lacks the ability to accurately detect translational movement which is highly desirable for virtual reality gaming. 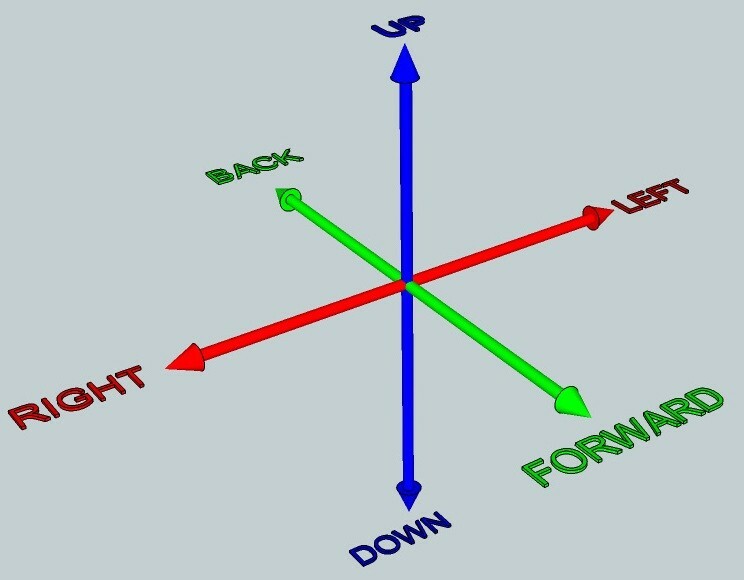 This article is a brief introduction to positional tracking and ‘degrees of freedom’; necessary concepts for discussing the mechanics of VR. 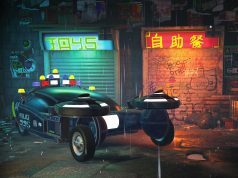 This guest article is written by Jordi Batallé, who is a virtual reality enthusiast and holds a master’s degree in computer science. Batallé has been hard at work on a solution to the positional tracking problem. You’ll be seeing more of his work on the matter soon. What does Degrees of Freedom (DOF) mean? A body is free to translate in 3 degrees of freedom: forward/back, up/down, left/right. 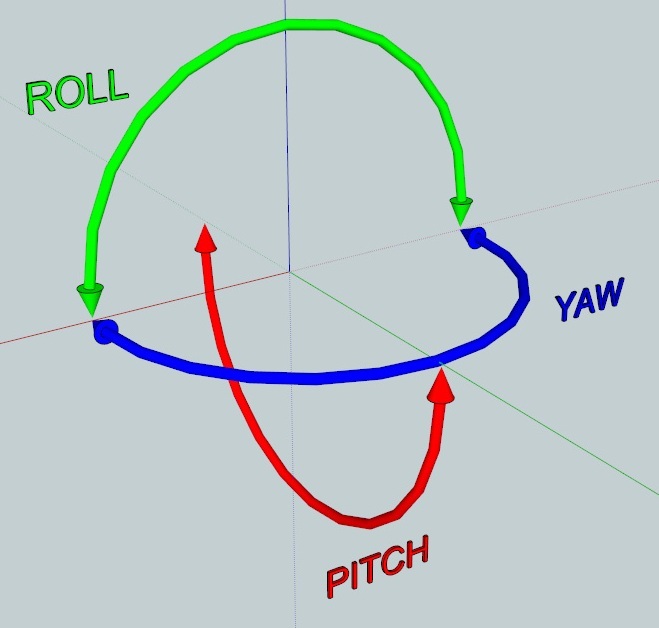 A body can also rotate with 3 degrees of freedom: pitch, yaw, and roll. Thus, 3 types of translation + 3 types of rotation = 6 DOF! There are 2 ‘directions’ in which an object is free to move inside any particular DOF. For instance an elevator is constrained to 1 DOF (a vertical translation), but inside this DOF it can freely move up or down. Similarly a Ferris wheel is also constrained to 1 DOF, but in this case it’s a rotational DOF, where it can roll one way or the opposite way. Continuing with the amusement park theme, a bumper car has 3 DOF in total: it can translate in only 2 of the 3 axis (it cannot move up and down like an elevator), and it can rotate in only one way (it cannot change its pitch or roll like an airplane). So 2 translations + 1 rotation makes 3 DOF. Any possible movement of a rigid body, no matter how complex it is, can be expressed as a combination of the basic 6 DOF. For instance when you hit a tennis ball with a racket, the complex movement of the racket can be expressed as a combination of translations and rotations. 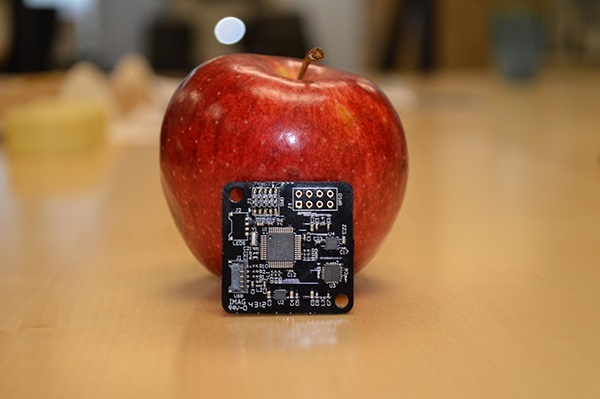 An Inertial Measurement Unit (also called an IMU or sometimes ‘tracker’), is an electronic device that measures and reports velocity, orientation, and gravitational forces, using a combination of sensors (accelerometers, gyroscopes and magnetometers). One of the main applications for IMUs in the past was aircraft instrumentation, but nowadays they are used in all sorts of devices, including mobile phones. This has taken the cost down a lot, and we can consider the 3DOF orientation problem “solved” nowadays. Unfortunately in practice IMUs can only accurately measure and report orientation values, not translations. What Does 9 DOF Mean Then? In the world of IMUs, some funny terminology has sprung up. There are numerous references to ‘9 DOF’ IMUs, but this is rather confusing given that there are only 6 DOF total. Basically many companies that build IMUs have coined the term 9 DOF in order to sell their products, but these do not refer to ‘real-life’ DOF. The 9 DOF comes from adding up the DOF that each type of sensor contained inside the IMU can detect. So if the IMU has an accelerometer that is able to detect 3 DOF, a gyroscope that can detect 3DOF and a magnetometer that can detect 3DOF then they call it a 9DOF IMU. That doesn’t correspond to reality because the 3 sensors measure the same 3 DOF (orientation only). A 9 DOF IMU is potentially better than a 6 DOF IMU because it can use sensor fusion (mixing the data from different sensors) in order to improve the quality of the final output, but it will still not be able to detect translations. What is Positional Tracking and Why is It So Important for Virtual Reality? 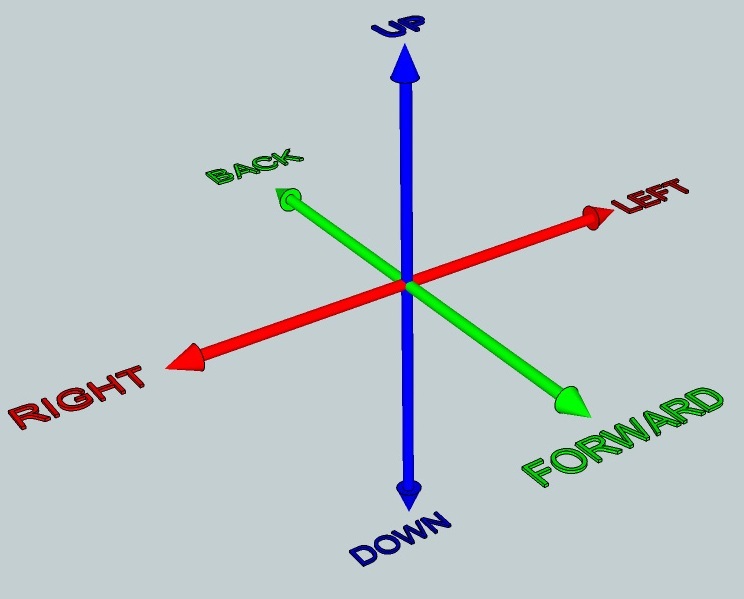 Positional tracking is a mix of hardware and software which is able to detect the absolute position of an object. It’s important for VR because in combination with orientation tracking it becomes possible to measure and report all the 6 DOF of real-life. It’s important that we can track accurately how objects (like the head or the hands) move in real life in order to represent these inside VR, since virtual reality is about emulating (and altering) reality. The Oculus Rift, for instance, provides 3 DOF (rotational) head-tracking which is not positional. 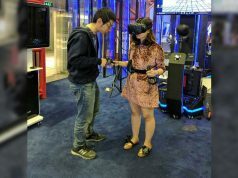 While you’ll be able to look around the virtual reality world by tilting and turning your head, you won’t be able to lean down to inspect objects on the floor or lean around corners because there’s no way to tell exactly where you head is. 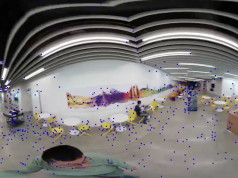 Positional tracking can also help improve the 3D perception of the virtual environment thanks to an effect known as ‘parallax’. Parallax is the way that objects that are closer to our eyes move faster than objects far from our eyes. This effect helps our brains to perceive distance in conjunction with stereoscopy (the difference between what our left and right eyes see). Some people argue that parallax is actually more important for perceiving 3D than stereoscopy. Finally, real 6 DOF tracking helps avoid motion sickness commonly associated with 3 DOF HMDs, which happens due to the disconnect between what your eyes see and what your inner ear vestibular system (equilibrium) is telling you. Interesting article Ben . Definitely something the full consumer version should not be without in my opinion to be a unified success and to give the consumer the “Im in the game” feeling from the very moment they put the Rift on there head. I believe that’s pretty much the consensus, including Oculus themselves. Pretty nice work, any ideas about using 9DOF IMU to create a 3d position tracker please ? This article is awesome. Thank you so much for explaining some of this shiz. This was only 6 months ago. Positional tracking for the Rift was added in 2014.